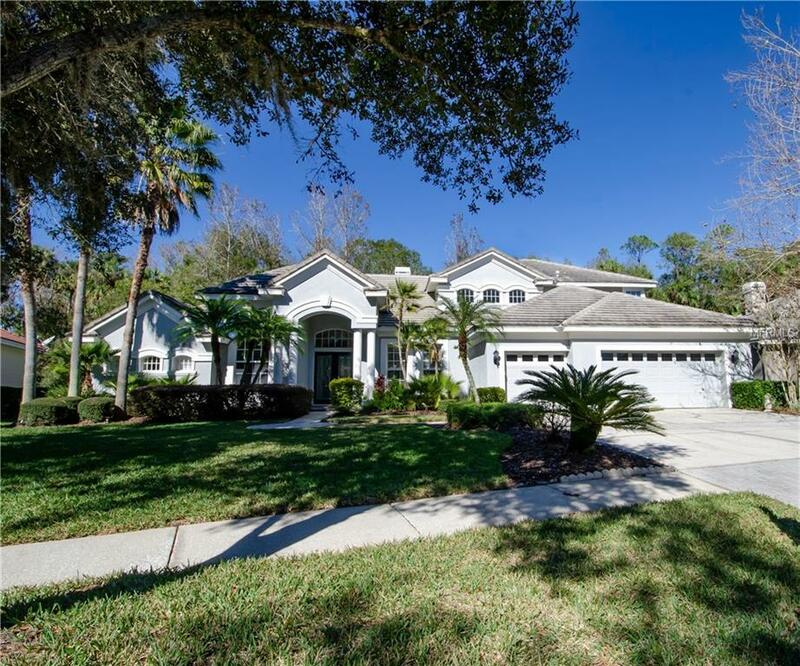 Magnificent Tampa Palms home boasting 2 incredible master bedroom suites!! 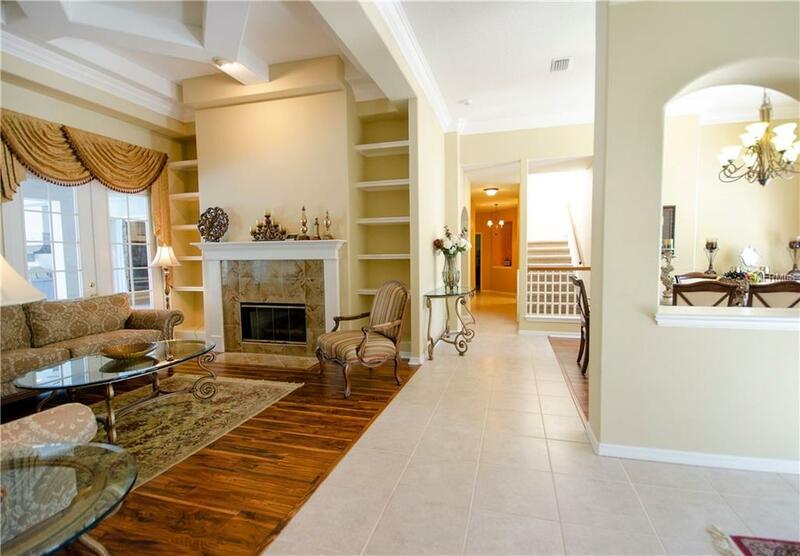 7 total bedrooms and 5 baths in this exquisite home, plus a study and a large upstairs bonus room! 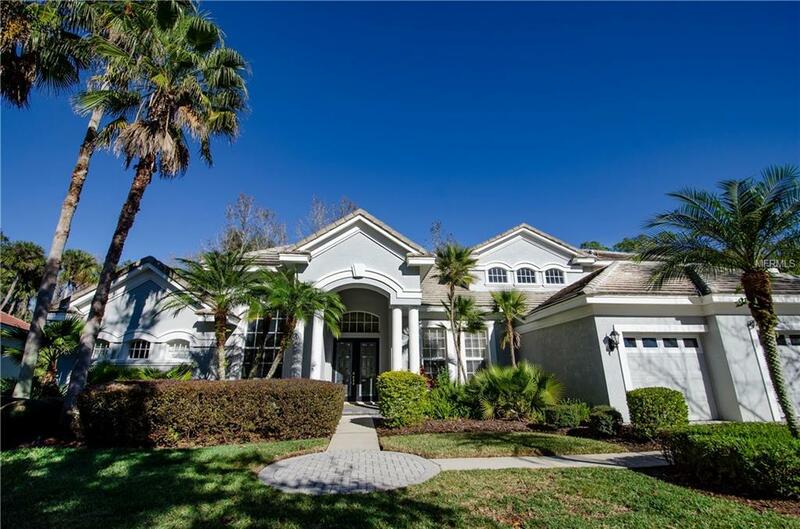 Perfect for entertaining, it has pocketed sliders and French doors opening up to the oversized lanai and pool, which backs up to the nature conservation area and offers an outdoor built-in grill and sink area! Leaded glass double front doors open to the living room with a fireplace and a separate formal dining room! Family room offers floor-to-ceiling windows and built-in entertainment center. Gourmet granite kitchen has 42-in maple cabinets, crown molding, closet pantry, built-in desk, breakfast bar, dining area, gas range, built-in double ovens. 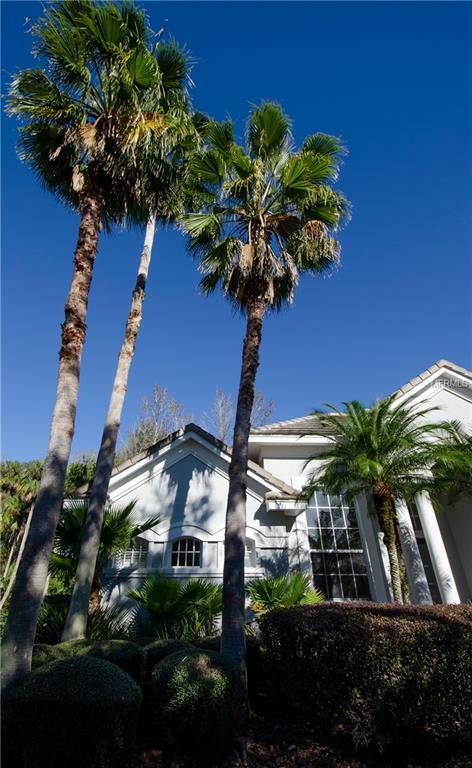 One master bedroom has a beautiful 12 tray ceiling, French doors to lanai, plantation shutters, garden tub, custom cabinetry in walk-in closet. The upstairs bonus room overlooks the family room and has the 6th and 7th bedrooms and a bath.Brazilian stone and private entrance in one of the master baths. Home also has CAT 6 wiring! Very impressive custom home to not miss out on!